North Korea Called Me a ‘War Maniac.’ I Ignored Them, and Trump Should Too. Smart diplomacy backed by the threat of force, not Twitter bluster, is the way to deal with Kim Jong Un. Perhaps the biggest mistake President Trump is making today is conducting a war of words with Kim Jong-un. No one can out-bluster North Korean leaders. They are truly the masters of invective. A quarter-century of close involvement with the challenge of nuclear deterrence in North Korea leaves me confident that a different approach holds vastly more promise. This approach would rely on diplomacy carried out in unambiguous but calm and measured language, backed by a thoroughly credible threat of punitive measures up to and including military force. The strategy would start with a clear appraisal of the risks we are trying to mitigate. Americans should understand vividly that we are on the brink of war with a regime in North Korea that—unlike in 1994—already possesses a nuclear arsenal of perhaps 20 weapons. The primary risk today is not that North Korea would deliberately start a nuclear war but that we would blunder into one. Our strategy and statements should be designed to avoid that terrible outcome. Instead, flamboyant rhetoric from the United States as well as North Korea is heightening the risks. Amid this brinksmanship, it is distressingly easy to imagine scenarios in which miscalculations lead to catastrophic consequences, involving casualties that could climb into the millions. Secretary of State Rex Tillerson’s statements over the weekend that the administration has asked North Korea if it wants to talk and now has “lines of communication to Pyongyang” could indicate a welcome step back from the brink and toward a negotiated solution. Before Trump concludes that diplomacy is a waste of time he should closely examine the evidence from recent decades on what has worked—and what has failed—in deterring North Korea. For the past 16 years, the United States has had a history of talking tough with North Korea without actually being tough, and the results have been spectacularly unsuccessful. It may have felt satisfying for President George W. Bush to denounce North Korea as part of the “axis of evil,” but it accomplished nothing beyond giving time for Pyongyang to make dramatic strides in its nuclear capability. A policy of confrontation that sounded strong masked consequences that left us weaker. Many people argue that diplomacy is impossible with North Korea, but my experience points to the opposite conclusion—as long it’s coming from a position of strength. In 1994, when the North Koreans called me a war maniac, I did not respond to their invective, but prepared a contingency plan to take out their reprocessing plant if they continued to make plutonium. In that case, coercive diplomacy—negotiations backed by the credible threat of force—averted war and succeeded in deterring North Korea’s nuclear ambitions for several years. Five years later, in 1999, I went to Pyongyang at the request of President Clinton to negotiate with the North. I wondered how this “war maniac” would be received. It was, in fact, with great respect, revealing that their earlier invective was posturing. My goal then was to get a verifiable agreement for them to give up their nuclear program and their long-range missile program. At that time they had a research program in both, but did not have an operational capability in either. At the end of those meetings I made a tentative proposal to North Korea. Subsequently, in October 2000, Kim Jong Il sent his senior military officer, Vice-Marshal Jo Myong-Rok, to Washington for discussions with President Clinton, Secretary of State Madeleine Albright, and me. 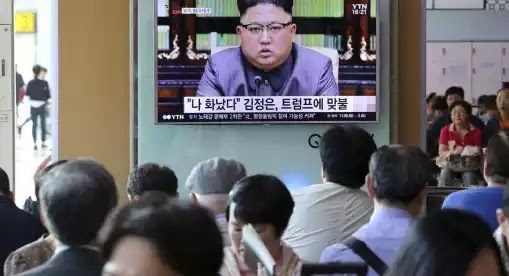 At the meeting, a verbal agreement was reached: The basic bargain was normalization of relations in exchange for North Korea relinquishing its nuclear ambitions. But one month later George W. Bush was elected president and cut off all discussions with the North Korean government. Several years later the Chinese government proposed to start discussions again through the so-called Six-Party Talks, which made some progress. By 2006, it appeared that North Korea might be willing to make another agreement, but at that time the U.S. government imposed new and punishing sanctions. In response to those sanctions, the North Koreans left the talks and moved swiftly to achieve operational nuclear medium-range and intercontinental ballistic missiles. They did this at considerable detriment to their economy, but with remarkable effectiveness. Today we are paying for those missed opportunities. I believe the agreement we were about to sign in 2000 could have stopped their program, or at least delayed it many years. Even if they had cheated in their labs (as they did earlier with the 1994 Agreed Framework), they could not have conducted either missile tests or nuclear tests without our knowing and intervening. Interfering with their tests today would be a much greater risk. Now we must deal with North Korean realities as they are—not what we wish they were or might have been. Pyongyang has a rapidly growing arsenal, and the capability to strike South Korea and Japan with nuclear weapons, and it will soon have the capability to strike the United States. There is some good news. I continue to believe the primary objective of their nuclear arsenal is to preserve their regime. So I do not think there will be any unprovoked attack with nuclear weapons against South Korea or Japan, or the United States. Deterrence works. North Korean leaders know that if they use nuclear weapons against the U.S. or its allies, their regime will be destroyed. They are ruthless and reckless, but they are not crazy. They are seeking survival, not martyrdom. But the situation is still very dangerous. North Korean leaders have a long history of taking provocative actions, and their nuclear arsenal might embolden them to take even more provocative actions. They might overplay their hand and make a move that forces the South Korean government to respond militarily. Even a minor military skirmish could escalate into a conventional war as a result of actions taken by military commanders in the field, not by the two country’s leaders. North Korea would certainly lose such a war. But there could be very serious consequences. Even a conventional war would entail very heavy loss of life in South Korea. Seoul, with 20 million people, could be attacked with thousands of North Korean artillery pieces that are massed along the border. Even if the North Korean army never reached Seoul, it could still cause hundreds of thousands of casualties, including American military personnel defending Seoul. And it is always possible (but not likely, I think) that China might feel compelled to intervene as it did in the first Korean War. Worst of all, as the North Korean army was being pushed back to Pyongyang and their leaders foresaw the collapse of the regime and their own death, they might then launch their nuclear missiles. Such an attack could quite possibly destroy Seoul and Tokyo before the North Korean leaders could be stopped, leading to the death of more than 10 million people. In the absence of effective diplomacy, we must be prepared to contain North Korea in a way that reduces these risks through miscalculation and foolish swagger. So we should be careful in our military deployments to avoid actions that might create conditions that make unintended clashes more likely. At the same time, we should take every reasonable step to ensure that our deterrence is unambiguous. That requires clear and persuasive statements and actions that make it unmistakably clear that if the North Korean regime uses its nuclear weapons it will face certain and devastating retaliation that will bring about the end of the Kim dynasty and the death of its leaders. This is a serious message, and delivering it through taunts and insults (like “Little Rocket Man”) trivializes the gravity of the moment and makes the pledges themselves sound less sincere. In the near term, the risks of invective and insult is that it could accidentally provoke war by confusing adversaries about the other side’s genuine intentions. Over the long term, the risk is that it dilutes the fear and respect upon which U.S. deterrence power depends. I believe that we should never threaten any country with military action unless we are prepared to follow through, since empty threats damage American credibility. Both President Bush and President Obama declared that North Korean nuclear tests were “unacceptable,” but as leaders in Pyongyang continued to test we did nothing significant to stop them. “Unacceptable” testing came to mean that we would denounce them for testing. Each passing year left us with fewer realistic options for achieving our goal of a nuclear-free North Korea, and North Korea with more reasons to cling to the leverage gained by its arsenal. As a great power, we have no need to resort to childish name-calling; if we do, we should understand that the North Koreans are world-class name-callers. Taunts and insults set the stage for the one scenario both sides should wish to avoid—provoking a preemptive attack, or making more likely a series of minor military actions that could escalate into a nuclear war.